It’s very soon my friends! The next Where’s Westie dance brought to you by Doug Silton and Pete Green. Also worthy of early mention: WW #11 in Burbank will be Champion dancer, and good friend Ben Morris’ official Birthday WCS dance! So come get a dance with Ben for his birthday! 8 PM – Intermediate Class. Also! Check out the Where’s Westie PODCASTS. June Podcast is the most recent! That means a new podcast installment from Doug & Pete (or is it Pete & Doug?). This 9th podcast episode piggy backs off of the Bluesy inspiration that Brother Yusef gives us, and we’ve filled this puppy up some of the more obscure blues and soul music we’ve happened across during our musical searching. So get your triplesteps ready and your rhythms-a-poppin, cuz here we goooooooo! Sorry, no hiphop/R&B this time. You’ll have to actually come to a Where’sWestie to hear some of the latest jams we’ve been accumulating for your dancing pleasure. So have a blast listening to Pete and Doug having a blast. and get your jams. Click here to go listen! 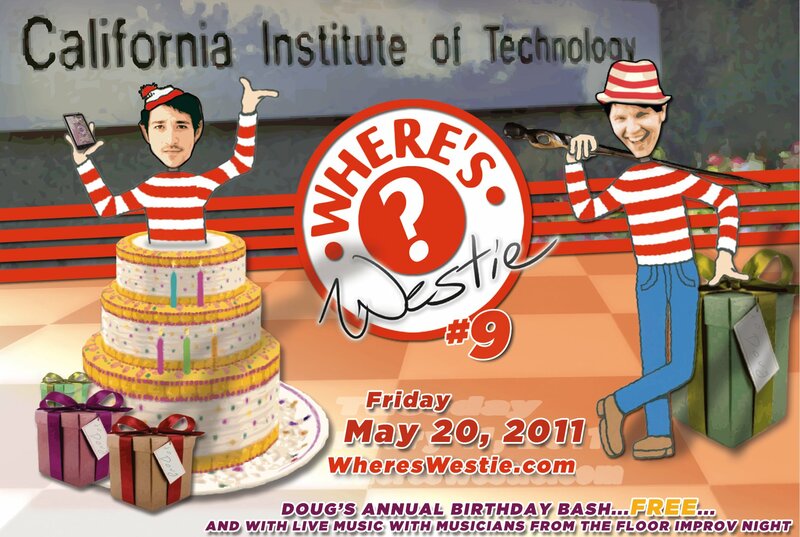 We had so much fun with live music for Doug’s B-Day bash at Where’s Westie #9 that we’re continuing the flow. We’re very proud and happy (prappy) to be a part of the Ford Amphittheatre’s Summer Music Session! Where’s Westie #10 – featuring a Beginning West Coast Swing lesson with Doug & Pete from 7-7:30 PM, follows with a DJ set and of course Brother Yusef playing for us LIVE! Check out Where’s Westie for the details! MONDAY, JUNE 27, 7-10 PM. Get your Jams y’all.. Where’s Westie Podcast #7 has landed on your front door step. This April edition of the podcast brings you Doug, Pete, fan mail, Brother Yusef, another 3 new tracks to groove on, and 3 more jack smith inspired music selections, as well as 3 funky mutha’s. Righteous. Cheers mates and podcasterinos, and Ahoy! to all of our foreign listeners. Head on over to whereswestie.podbean.com to have a listen! WW#8 was a total Success. Thanks to everybody for coming out. We had a ball, and hope the ball was shared by all. Cheers mates. On to next topic! Look at this! You like that word? Well we do too. 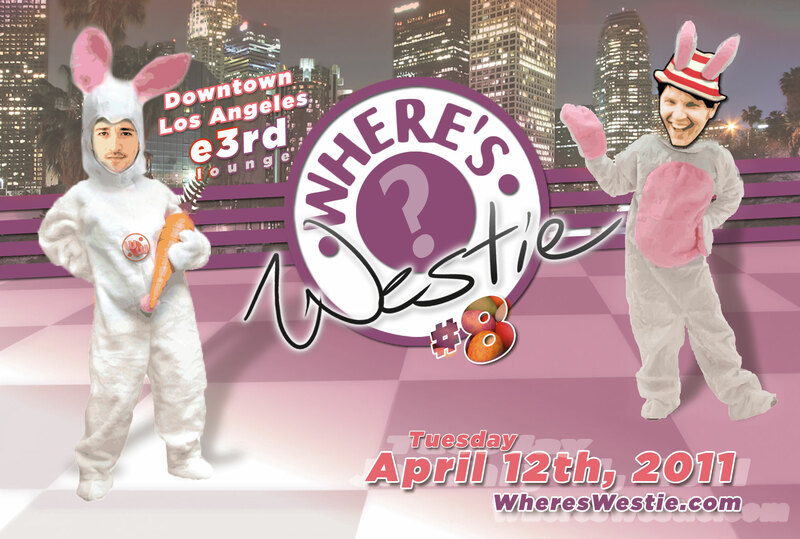 So much that our next Where’s Westie (#9) will be exactly that! This will be a hugely awesome West Coast Swing dance in Los Angeles. On a Friday night in Los Angeles. In Pasadena, to be exact.May 20th. featuring. FEATURING. Featuring. Live Music with the super rhythmical musicians from The Floor Improv night. Live music. For the price of. Zero Dollars. That’s right Zero Dollars. Doors open at 7:30 PM. Note: We may reach max capacity of 300 dancers so come early to make sure you get in! Ahh… W W … written in candles … sorta looks like a 33. And that means we’re celebrating Doug’s 33rd birthday here! WW is like Doug’s 33 … and 3 x 3 is 9… bam. WW#9 is fate. Again yall. This is a FREE venue. All ages. Come enjoy. Droid. Stay tuned for more information about WW#10. It’s gonna be awesome.